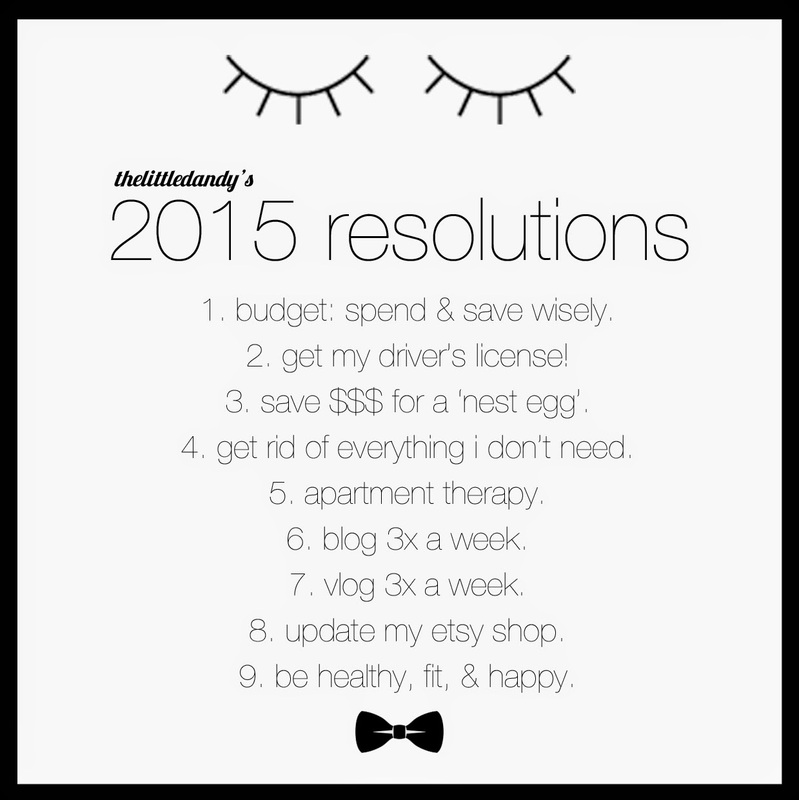 THE LITTLE DANDY : My 2015 New Year's Resolutions! Recently, I've become super obsessed with money. No, not in the sickening way (but lezbehonest, everyone's a little obsessed with money, right? ), but more so in a meticulous and obsessive-compulsive way. I knew that I'd been spending WAY more money on useless crap than I needed to be, so I decided to look at my online debit statements to see what I had spent money on for every month of 2014. 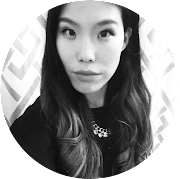 In 2014, I had spent more than $5k on eating out (i.e. : McDonalds, Starbucks, etc.) and useless CRAP (i.e. : costume jewelry pieces I never wear, $10 shoes I've worn once, clothing I hate, etc). This $5k spend was EXCLUDING money that I had spent on necessities like groceries, travel, and gifts. This was literally five-thousand-dollars that I threw to the blowing wind. Ouch. Imagine what I could've done with that money (my inner girl that longs for a Chanel is weeping). Needless to say, since this eye-opening realization of my careless spending, I have decided to stick to a budget, save, and pay off some debt ASAP. Life! Goals! 2. Get My Driver's License. This one is just embarassing, so I'm just going to leave it at that. FML. This year will probably be a year that I'll need to dish out a lot of cash. I have a destination wedding to travel to, 1 wedding to attend, 1 wedding that I am a part of, and my own wedding to plan! Oy vey! I am bleeding through the eyes in money signs right now! In addition to the very "mature" saving habits I have (I do make monthly contributions to my RRSP and TFSAs), I've always wanted to also start a nice little nest egg. Kind of like a bounty of money for a rainy day in the future. Who knows. I just feel more secure knowing I have money saved up somewhere. Time to save, save, save! I've actually already started to do this. I'm cleaning out my entire stock of belongings and getting rid of anything/everything I do not need or use. I've already got a huge pile of "crap" that I need to get rid of. (I'll be uploading A LOT of clothing, bags, and shoes to my TrendTrunk closet soon!). I've been longing for a sense of clarity and simplicity, and I think that clearing out the clutter around me will be a big help! This kind of ties in with the above. I'd like to put more effort into the decor around my apartment. Surrounding yourself with the things you like will make you happy :). I've been brainstorming like CRAZAY for a while now, and yes. My blogging game is back ON. I'm going to try to commit to blogging 2-3 times a week to start, and hopefully I'll be able to stick to it! I've attempted YouTube a few times in the past. The trouble with video is…well it takes so damn long to edit! But, again, I've been brainstorming like crazy and I'm ready to bring my A-Game to the world of video. I'll be trying to upload 1-2 videos a week to start. I've got some wild ideas for themed videos, but more on that later…! 8. Update my Etsy shop! I sell crocheted and other handmade wearables and accessories on my Etsy shop. Unfortunately, for the majority of 2014 it started to collect dust. Time to revive and make some extra cash on the side! 9. Be Healthy, Fit & Happy! Self explanatory, but Blogilates here I come!! I would like to personally volunteer as tribute regarding in your clothing dilemma. My closet will always be a safe place for your cast offs. Email me anytime. Haha. I know it's so hard! But it's so worth it in the end. It refreshing feeling is so rewarding :).